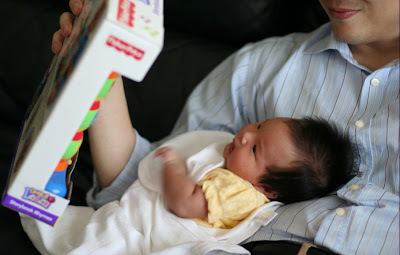 Enjoying her musical book of nursery rhymes with daddy. oh yes that was a real hit with K too! it'll last a while! That's good to know! I've just opened another book with sounds for her. She seems to like these sound making stuff!